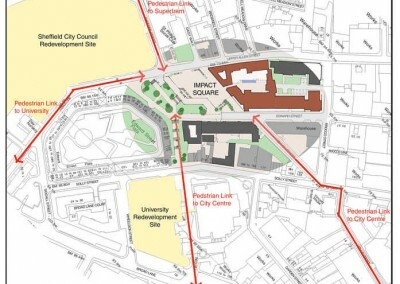 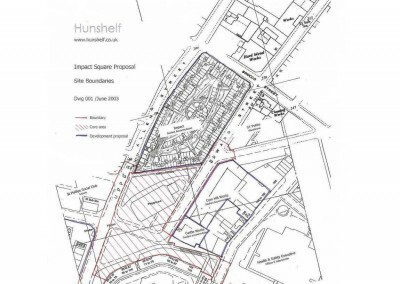 Impact Square was a 2003 proposal to Sheffield City Council to create a new urban space on the run down area known as Edward Street Park, leveraged by the adjacent major developments that we were undertaking at Impact and Castle Works. 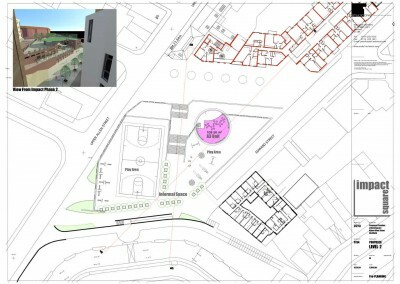 At the heart of the proposal was that the independently inspired and developed scheme would be at no cost to the public purse or require contributions from Section 106 monies or other public subsidy or grant. 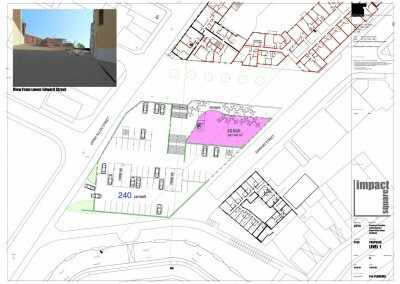 The proposal involved the creation of a new long lease to allow the transformation of the area to create a hub for the St Vincents district. 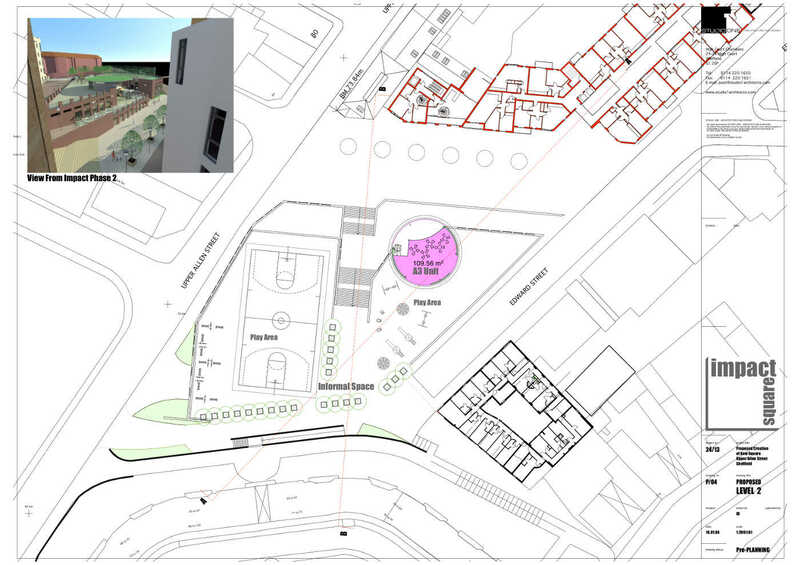 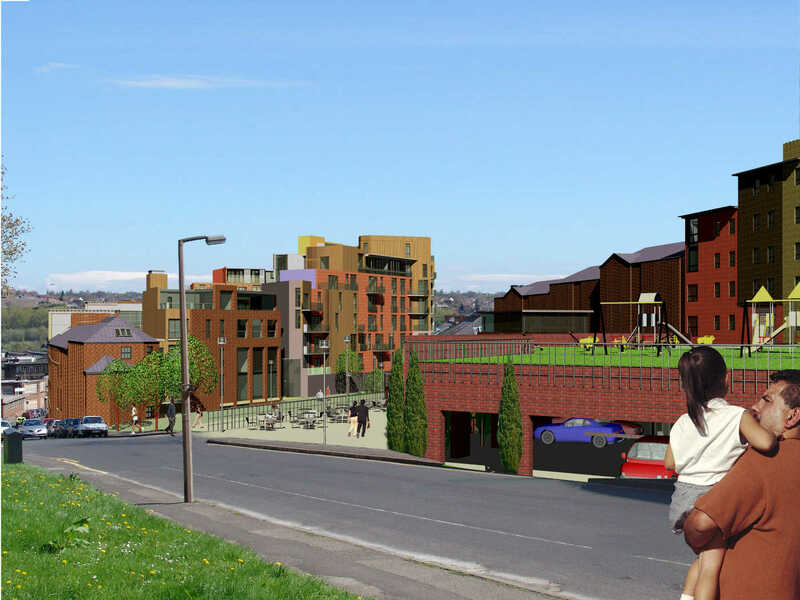 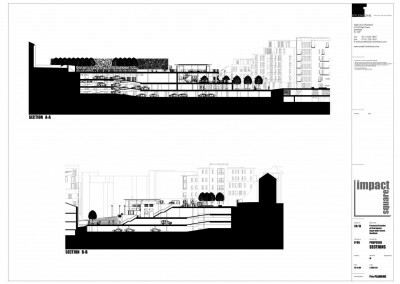 A new terraced public plaza would be created around an urban sculpture park theme, complemented by small retail units aimed at independant occupiers that might not usually be able to find premises within Sheffield’s central retail district. 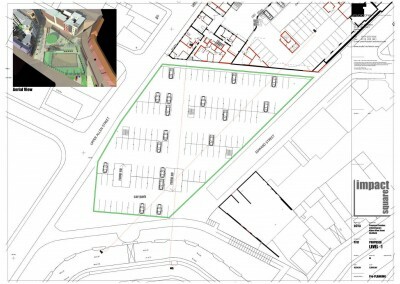 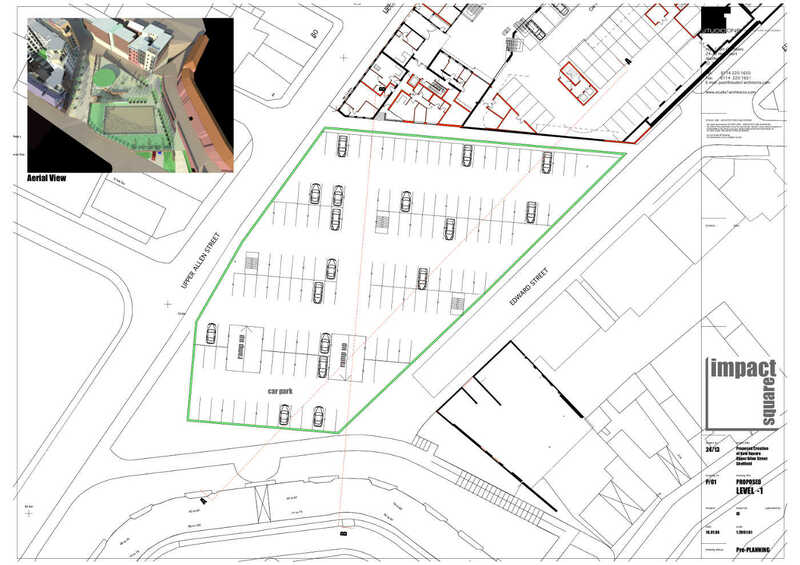 Beneath Impact Square over 200 parking spaces would provide much needed car parking for residents and workers. 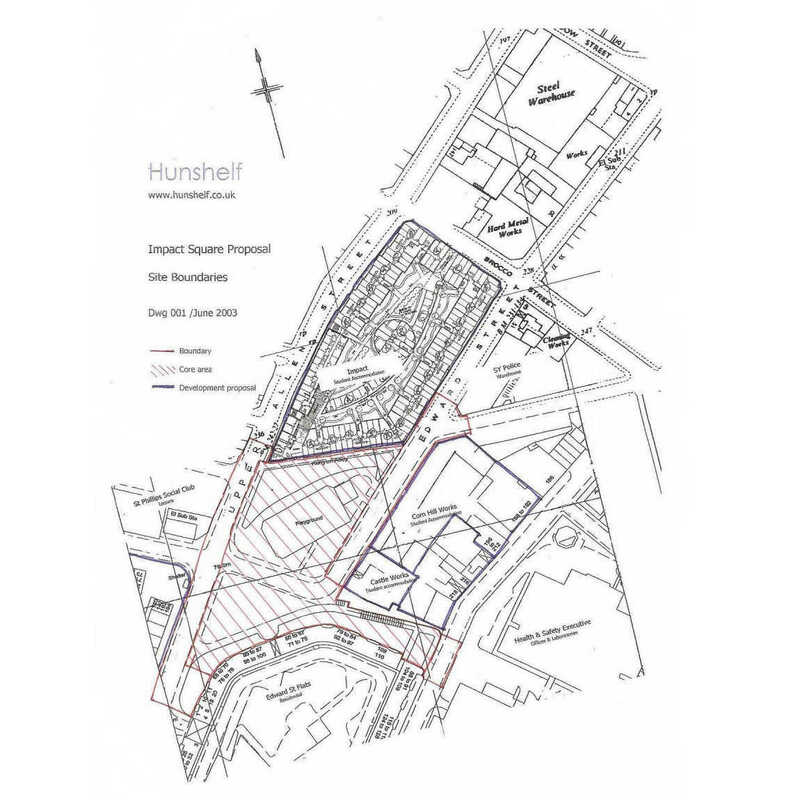 A number of consultations with residents, businesses and councillors demonstrated that the scheme would receive widespread support. 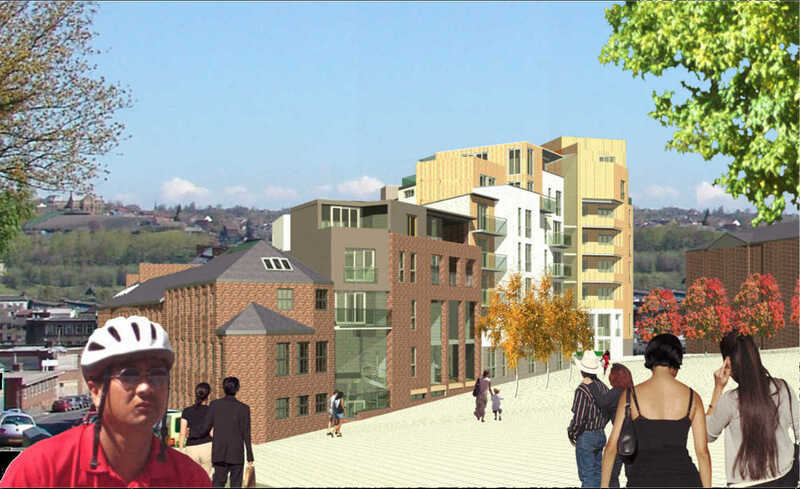 Our appraisals and early sketch scheme indicated that the project would be viable both in buildability and funding terms. 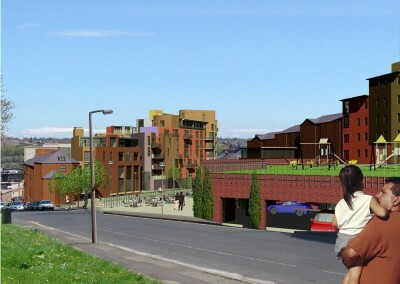 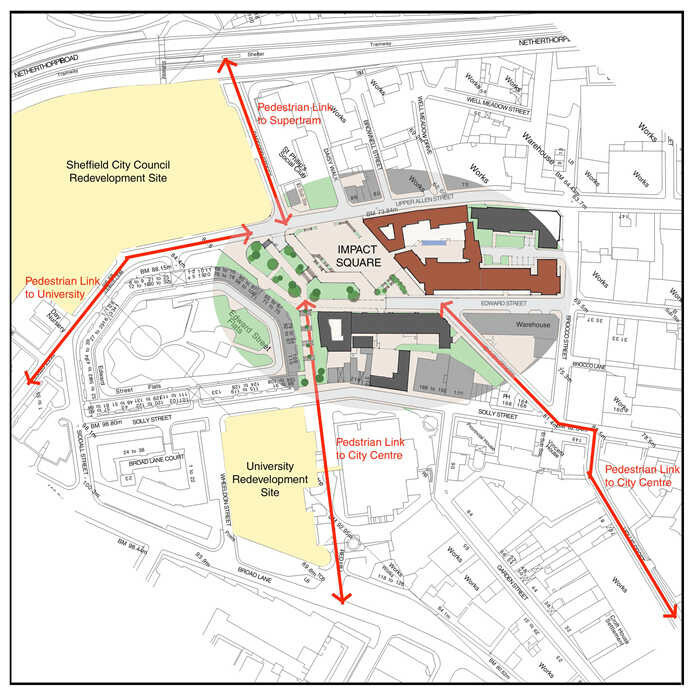 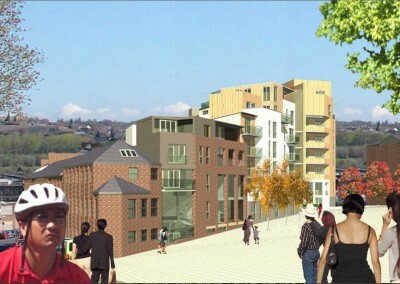 Sheffield City Council officers declined the opportunity and later utilised Section 106 monies to landscape Edward Street Park.